R&M, a Swiss cabling systems developer and provider of high-quality fiber & copper solutions for network infrastructures around the world, has outshined in serving one of the most prominent telecom service providers of India, with its innovative cabling solutions & products. The client, with more than 400 million active end users globally, holds an immense reputation and brand value in the Indian telecom market. With the implementation of 4G technology in telecommunication industry, the client had announced its growth & expansion plans to keep up pace with the market by serving their end customers with uninterrupted services. 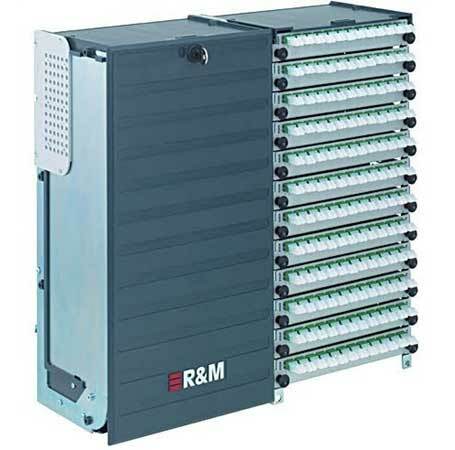 R&M being closely associated with the client for a long time and having understood the requirements of the client’s portfolio, provided/served with superior cabling solutions for high – end communication networks. The future-proof solutions with Swiss precision & forward- looking system design assisted the client with secure voice, data and video transmissions. While the implementation of 4G technology plans in India, the client was facing a major problem with the installers across the country. R&M had extended its hands in solving the issue with its well-trained technical & installer team to meet customer’s rapid expansion plans. The feedback to the issue was incorporated by the quick time parameter. “Our customers and partners around the world benefit from the high Swiss quality standard products. R&M always focus on manufacturing future-proof, modular solutions that ensure the investments are protected for a long time, in turn building long term customer relationships.” said Gaurav Ahluwalia, Managing Director at R&M India.